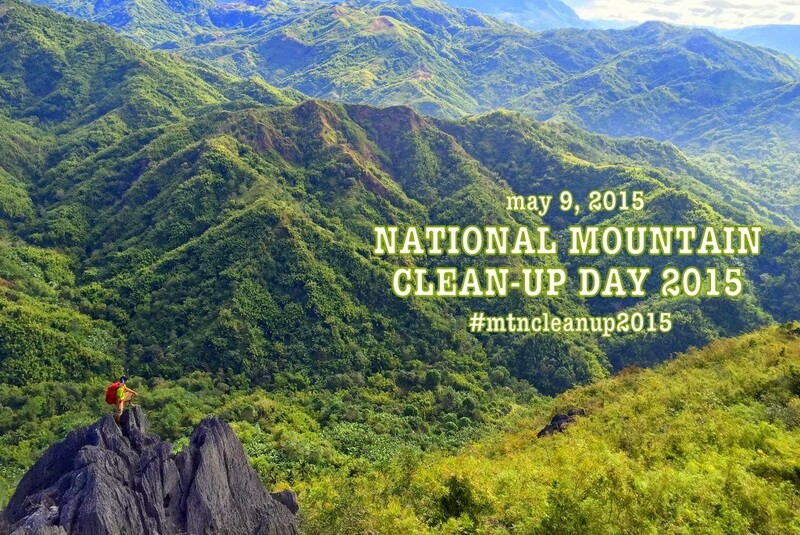 Inspired by the first National Mountain Clean-up Day in 2014, the second NMCD is envisioned to live up to being an annual reminder to the public of the importance of having clean mountains, as well as a set of simultaneous activities organised by different groups that will clean up mountains and other natural areas in different parts of the Philippines. 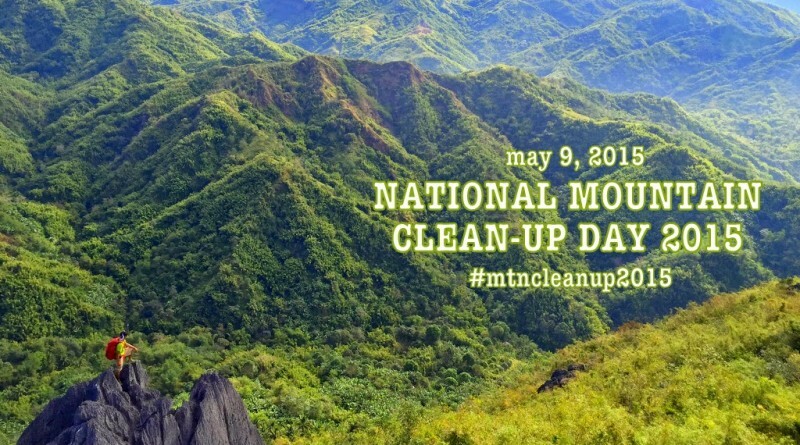 Note: In 2016, the whole month of May is to be designated as “Mountain Clean-up Month” and the NMCD, which is the first Saturday of the month, will be the culmination of the commemoration. In this, we follow the original rationale of holding the NMCD after the peak season of hiking activities (i.e. Holy Week and the summer months) and before the rainy season. The second NMCD is scheduled to be first held on May 9, 2015. The venues are are the mountains and areas with hiking activity that are both within and outside the designated Protected Areas by the government. 1. At the national level, the lead proponent/s of the project will be coordinating the initiative in partnership with the Department of Environmental and Natural Resources through its relevant agencies. The local events however will be organised by different groups. 2. The organisers of each of the clean-up climbs will be assembled in one Internet group through a suitable social media platform in order to disseminate information. 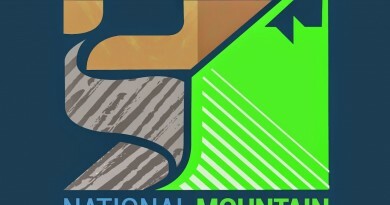 For climb organizers, please click this link to access the Facebook group for the NMCD. 3. There will be a designated coordinator for each clean-up climb who will be responsible for the participants and the conduct of the hike and the clean up. All coordinators must have basic mountaineering skills and must have experience in organising hikes. 1. Any hiking or outdoor club, civic organization, or group of individuals may join the NMCD. Groups are at liberty to select their target mountain for clean-up. However, there may not be several groups doing a clean-up in a single trail or area. 2. Participating groups are responsible for the safety and well-being of their participants. 3. Every group must have a designated coordinator. 4. 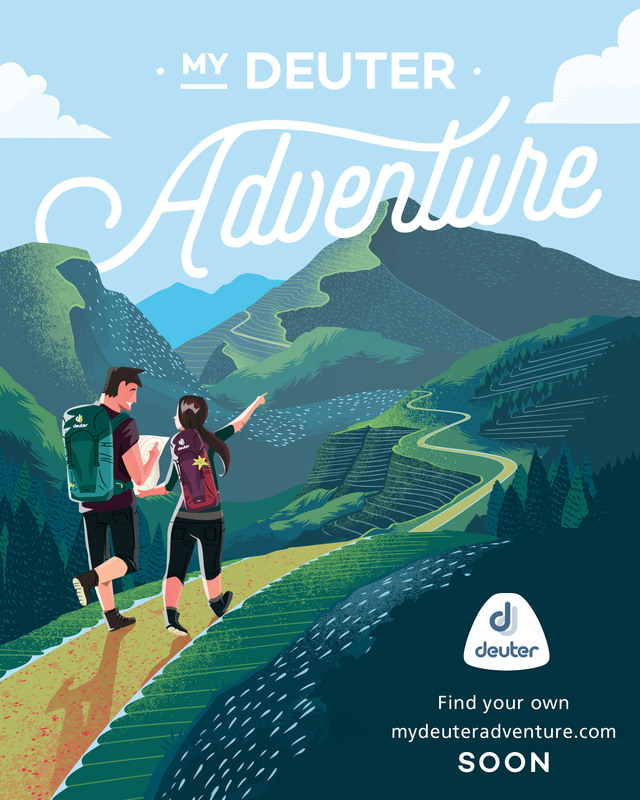 The coordinator for each climb must make sure that his participants are sufficiently fit to participate in the activity, have sufficient mountaineering skills and experience, knows what to do in case of emergency, and is aware of the Leave No Trace principles. If a participant is below 18 years of age, parental consent must be secured. 5. The maximum number of participants per group is 18. However, this is just a general guideline. The policies set by the mountain authorities (i.e. PASU, ENRO, barangay officials) take precedence over this guideline. 7. In case there are several groups seeking to hold clean-up activities, the Park Superintendent will determine the maximum number of participants for each group, as well as how the groups will be divided according to target areas of clean-up. In mountains not falling under protected areas, should designate a lead coordinator for the clean-up efforts for the particular mountain, and discuss beforehand to designate particular areas to be cleaned by each group. 8. In protected areas, the Park Superintendent will designate the designated waste disposal facility. For other areas, the DENR will provide advice at the national level while the participating groups will also coordinate with the relevant LGU on where the garbage will be disposed. 9. All participants must treat every clean-up climb as a regular hike and thus they must have contingency plans, designation of tasks (i.e. lead, sweeper, medic). Importantly, every team should have a first aider who can respond to injuries like cuts that may be caused by picking up garbage. 10. Participating groups should feel free to organise other activities concurrently with the clean-up, including, but not limited to community outreach, dialogues and lectures about Leave No Trace principles, among others. 1. For the purposes of the event, garbage is defined as any material that was brought by humans to the mountains and does not serve any useful purpose. Common garbage in the mountains include various kinds of plastics, glass bottles, cans, any form or piece of paper, cloth, or any other material left by humans. All forms of garbage should be collected from the campsites, trails, peaks, and other areas of interest. 2. Participants will be advised to use garbage bags to collect the trash. Each participant should try to fill one or two garbage bags depending on the number of trash on the trail. The bags must be of sufficient thickness to withstand being transported through the trail. If in doubt, consider using two bags for double thickness. Biodegradable, environment-friendly garbage bags are preferred. 3. Participants should wear rubber gloves or equivalent for sanitary reasons, as well as to protect themselves from possible cuts or injuries from sharp trash like bottles. Special precaution should be exercised when handling glass shards as well as opened tin cans, as their edges can cause injuries. 4. Participating teams should consider bringing other tools such as a hand trowel that can assist in retrieving buried cans, glass, and other forms of garbage. 5. The sweeper, or the last person in the group, must ensure that no trash bags are left behind, and that they are not left in huts, rest stops, not even in the trailhead, regardless of the existence of trash cans there. Only the designated waste disposal area should be considered. If necessary, groups should transport the garbage with them to a point where proper waste disposal is assured. 7. In cases where locals would demand that participants leave the garbage in certain places, like campsites, participating groups are encouraged to abide with the chain of waste disposal as long as this can be done amicably. 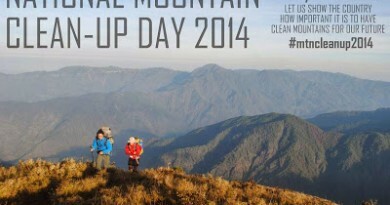 8 Comments on "Guiding Document: 2nd National Mountain Clean-up Day on May 9, 2015"